Finding a parking place in any downtown city is difficult and depending on where you are, sometimes a near impossible task. Nashville is no exception, but these insider tips will hopefully help you on your next visit to downtown Music City. While there are thousands of parking spaces, spots, and lots located in downtown Nashville, each one will have its own unique set of rules, policies, and guidelines to follow. 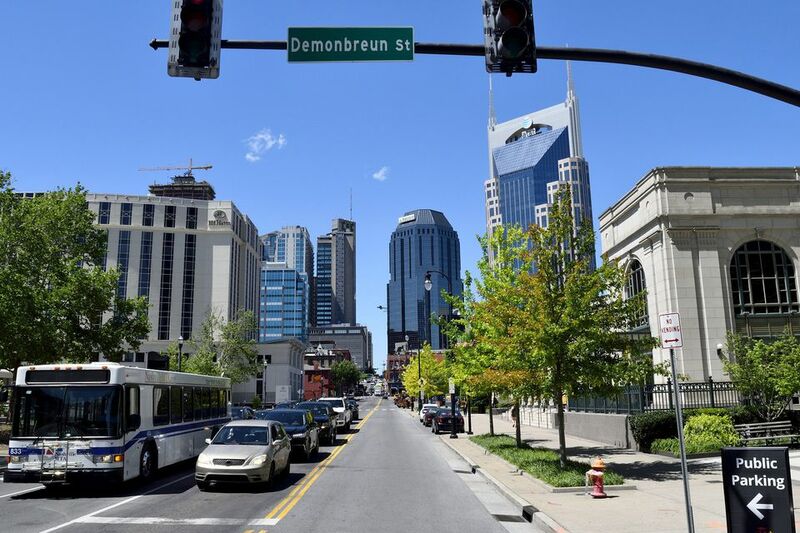 When venturing into downtown Nashville, visitors and local residents alike can be confused by many of the costs and policies. Most all of the private surface (street) lots are unmanned with only minimal posted instructions on how to pay and how much to pay, whereas most or all of the covered and garage lots will have someone on-site and can offer some assistance if needed. Expect parking costs to vary from lot to lot and from company to company. Note: Normally, private lots do not tow cars. Typically, they just keep placing citations on the vehicle. Using metered parking seems pretty simple—you just toss your money in the slot and go. But here again, there are a few additional insights worth knowing. In general, metered parking in Nashville is only enforced from 8 a.m. to 6 p.m. Monday through Saturday which means that it's free to park at parking meters on Sundays and any night after 6 p.m. Although there are a few exceptions to this rule as some meters are bagged and some meters have restrictions on parking times. To be on the safe side, avoid the following spots. If you park there, you run the risk of being towed. Depending on the time and location, some metered parking spots are off limits (closed) during certain peak hours. These meters can be identified by either looking around for signs posted indicating that you can't park during certain times of day and/or are displayed on/inside the individual meters. This means that you can not park at certain meters, even if you pay, during certain peak (rush hour) times of the day. When you see a parking meter that is bagged i.e. covered with a leather type cover, this means that a local downtown company has pre-bought the metered parking space and it has been reserved for the companies use only. Most all of the Tennessee Government parking lots, excluding Metro Nashville lots, offer free parking after normal business hours and on weekends. There are about eight to 10 of these lots located in the downtown area, and they all will have signs posted identifying them as such. Tennessee Law states that if handicapped parking spots are available, all cities and counties in the state are obligated to provide free parking to handicapped persons displaying an official handicapped symbol on a vehicle. If you are a local resident and happen to own a clean technology vehicle, including hybrid vehicles that use both electric and gasoline engines for power, or non-hybrid vehicles that get very high gas mileage and have very low exhaust emissions you can get a Green Parking Permit which allows free parking at many of the meters in the downtown Nashville business areas. There are two types of tickets. One is issued by a private lot (which is simply a parking fee) and one by a metro official (the real deal, court appearance and all). Both can be paid by mail or in person. You can additionally dispute you Metro ticket in court. If you get towed, call the tow-in lot at 615-862-7800 and they will give your directions, cost, and details on how to retrieve your vehicle. Normally the impound lot is open 24 hours a day. Once you've secured a parking spot, you really don't have to worry about getting around downtown Nashville at all because there are several quick options which include jumping aboard the Music City Circuit and/or calling one of the local taxi companies to get you to your final destination and back again.